A great study of the Millennium! In this second installment of our examination of the Great Day of the God’s Wrath we want to turn our attention to other passages in Revelation that discuss, define and describe that Day. We began our study of that Great Day with Revelation 6. Please be sure to read that first installment. The Great Day of the Lord’s Wrath in Revelation 6:12f is the answer to the prayer of the martyrs for vindication. What we will discover as we proceed is that there is but one Great Day of the Lord’s Wrath in Revelation. Thus, since Revelation 6 must be applied to the Lord’s coming in judgment of Old :Covenant Jerusalem as the persecutor of God’s saints, this means every other reference to the Great Day of God’s Wrath in Revelation– for the avenging of the blood of the martyrs – is likewise reference to that AD 70 judgment. Then the seventh angel sounded: And there were loud voices in heaven, saying, “The kingdoms of this world have become the kingdoms of our Lord and of His Christ, and He shall reign forever and ever!” And the twenty-four elders who sat before God on their thrones fell on their faces and worshiped God, saying: “We give You thanks, O Lord God Almighty, The One who is and who was and who is to come, Because You have taken Your great power and reigned. The nations were angry, and Your wrath has come, And the time of the dead, that they should be judged, And that You should reward Your servants the prophets and the saints, And those who fear Your name, small and great, And should destroy those who destroy the earth. The parallels between this text and Revelation 6 are very clear and powerful. In both we have the martyrdom of the saints. In chapter 6 we find the prediction of more martyrdom coming, and in Revelation 11 we find the slaying of God’s two witnesses. In both we have the promised vindication of the martyrs. In both we have the Great Day of God’s wrath to vindicate the martyrs. In both, we have that Great Day of God’s Wrath against Old Covenant Jerusalem. We established in article #1 that Revelation 6 cannot be divorced from Isaiah 2-4 or from Matthew 23, both of which unequivocally posit the vindication of all of the blood of all the martyrs in AD 70. In Revelation 11, we have that vindication, at the Day of God’s Wrath, taking place in the judgment of the city “Where the Lord was crucified” (11:8). The connections here are extremely powerful and significant. If Revelation 11 is parallel with Revelation 6, that is, if it is the same Day of God’s wrath to avenge the martyrs, then that means that the Day of God’s Wrath in Revelation 6 is the time of the resurrection in Revelation 11! And if that connection is solid – and it is – then since the resurrection at the Great Day of God’s wrath occurs at the judgment of the city, “Where the Lord was crucified” this confirms the analysis of Revelation 6 in our first installment. Not only that, it proves that the resurrection was in AD 70. See my book, Seventy Weeks Are Determined…For the Resurrection in which I establish this fact very clearly. To prove that the seventy weeks ended in AD 70 is to prove that the Millennium ended as well! To any observant reader, Daniel 12 clearly lies behind and serves as the source of Revelation 11 (not to mention Revelation 20 as we shall see). Let me develop some of the direct parallels between Daniel and Revelation. 1. The prediction of the Great Tribulation, which of course, Jesus unequivocally posited for his generation (Matthew 24:21-34). In Revelation, the 144K righteous remnant of Israel, the first fruit of those redeemed to God, experience the Great Tribulation (Revelation 7:14 / 14:1-4). This demands, logically, that the Great Tribulation was in the first century. 2. In Daniel, we find the Abomination of Desolation, which, once again, Jesus posited for the land of Israel, in his generation. Likewise, in Revelation, we find the Great Harlot and her abominations. 3. The Resurrection (Daniel 12:2) to eternal life. In Revelation 11 we find the resurrection and the rewarding of the dead, in the everlasting kingdom. 4. In Daniel we find the righteous shining in the kingdom, just as in Revelation we find the righteous inheriting the kingdom. 5. Notice that in Daniel, the prophet was told twice that fulfillment of his vision was far off, thus, he was to seal the vision. But, in Revelation, John was emphatically told NOT to seal the vision because “the time is at hand” (22:10). 6. Daniel 12 is about the time of the resurrection and the rewarding of the prophets (12:13); Revelation 11 is about the resurrection and the rewarding of the prophets. 8. This time of the destruction of the power of the holy people is clearly the time of judgment, the outpouring of God’s Wrath, just as in Revelation, the resurrection is at the Day of the Lord’s Wrath. 9. 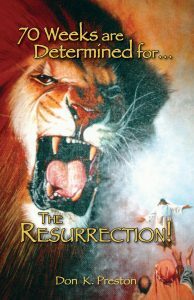 The rewarding of Daniel at the resurrection is the time of the vindication of the martyrs, including the prophets, just as in Revelation 6 & 11, the Great Day of Wrath is the time of the vindication and the rewarding of the prophets and the martyrs. (And let us not forget that Jesus said that the time of Jerusalem’s demise would be, “The Days of Vengeance when all things that are written must be fulfilled” (Luke 21:22). That was the Great Day of God’s wrath to vindicate the martyrs). Revelation 6 is about the Day of God’s Wrath. Revelation 11 is about the Day of God’s Wrath. Revelation 6 is about the Day of God’s Wrath to vindicate the martyrs. Revelation 11 is about the Day of God’s Wrath to vindicate the martyrs. Revelation 6 and the Day of God’s Wrath is about the AD 70 judgment of Jerusalem / Israel, as proven by its application of Isaiah 2-4 – and Jesus’ application of Isaiah to AD 70 – not to mention the direct connection with Matthew 23. Revelation 11 draws directly on Daniel 12 and the prediction of the Abomination of Desolation, the Great Tribulation, the kingdom, the resurrection and the rewarding of the prophets – and the Day of God’s Wrath in the destruction of the power of the holy people. Likewise, Jesus himself applied Daniel 12, the Abomination of Desolation, the Great Tribulation, the kingdom, the time of the end, etc. to the events of his generation and the judgment on Jerusalem (Matthew 24 / Luke 21). Revelation 11 applies the prophecy of Daniel and the rewarding of the prophets, to the time of the judgment of the city “Where the Lord was crucified.” And, the time of the rewarding of the prophets in the resurrection, at the Day of God’s Wrath, is, the time of the judgment of Jerusalem. Not only that, but the time of the rewarding of the prophets in the resurrection, at the Day of God’s Wrath, occurs at the end of the Millennium and the Great White Throne Judgment (Revelation 20:10f). Therefore, the Great Day of God’s Wrath – the time of the rewarding of the prophets in the resurrection, occurred at the end of the Millennium at the judgment of Jerusalem in AD 70. So, unless one can divorce the Day of God’s Wrath in Revelation 6 from that Great Day in Revelation 11, and from Daniel 12, this is prima facie proof that the Millennium ended at the judgment and destruction of Old Covenant Israel in AD 70. Unless one can divorce the theme of the vindication of the martyrs in Revelation 6 & 11 from its source prophecy of Isaiah 2-4 (among other major prophecies) and from Jesus’ discourse on the vindication of the martyrs in Matthew 23, this demands that Revelation 6 and 11– including the resurrection, the rewarding of the dead and the prophets, occurred at the end of the Old Covenant world in AD 70. And that means that the end of the Millennium was in AD 70. 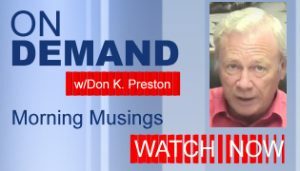 More to come as we continue our examination of the Great Day of God’s Wrath and the End of the Millennium. 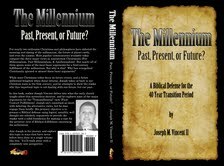 Be sure to get a copy of Joseph Vincent’s excellent book, The Millennium: Past, Present or Future, for a great study of the issue.